Mini concrete pump for sale applies to the transportation of concrete, mortar, aggregate and other mixtures, which mainly consists of the conveying pipelines and main body. Mini concrete pump basically transfer concrete through pipelines by taking advantages of pressures, and it also has many classifications, such as mini electric, diesel concrete pump and mini concrete mixer and pump. Aimix mini concrete pump machine is a portable one, which simplifies pump site transition, delivery and installation. 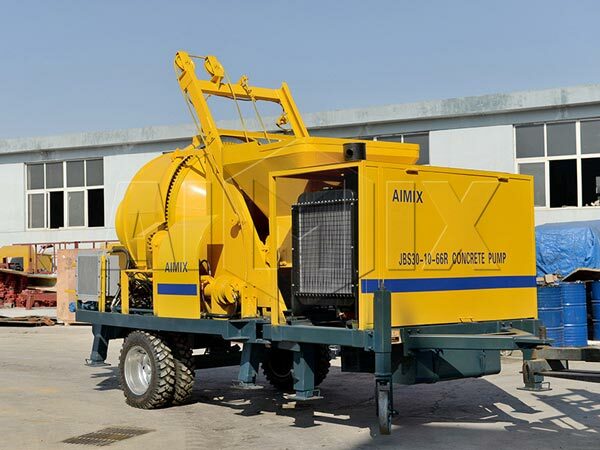 Diesel concrete pump for sale of Aimix Group includes XHBT diesel trailer pump and JB diesel concrete mixer with pump, which both utilize diesel to go into operation. This type of mixer often has smooth and uninterrupted pumping, which will not be affected by power failure or electricity shortage. 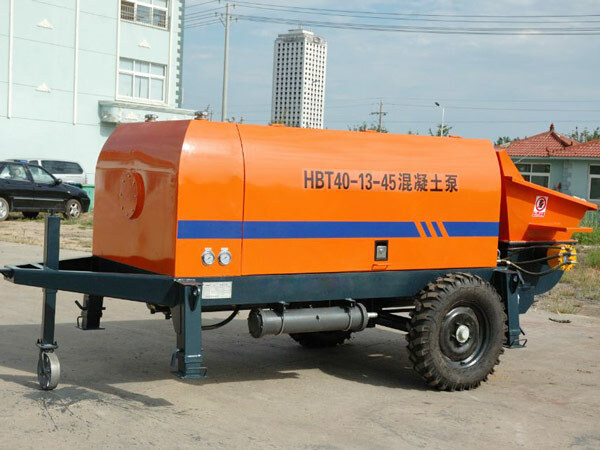 Mini diesel concrete pump or mixer pump is a perfect match for most of areas except for those places that are lacking of natural resources like diesel. 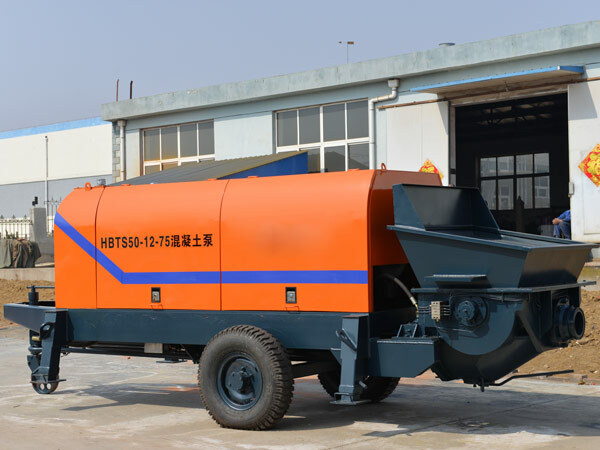 Unlike diesel concrete mixer with pump, electric concrete pump starting working immediately after turning on electricity, which often has less operation costs owing to low electricity price. HBT electric pump and JBS concrete mixer pump are the hot products of our company with long pumping distance and reasonable price, which have been exported to Russia, Pakistan, Indonesia, Sri Lanka, Mauritius, India, America etc. Apparently, our wet mini concrete pump is an appropriate helper for small-sized construction and maintenance projects, such as the construction of bridges, roads, city buildings, rural residence, backyards, buildings, squares etc. In general, our small concrete pumps suit the requirements of all construction projects, and we can make appropriate adjustment to meet your site demand. 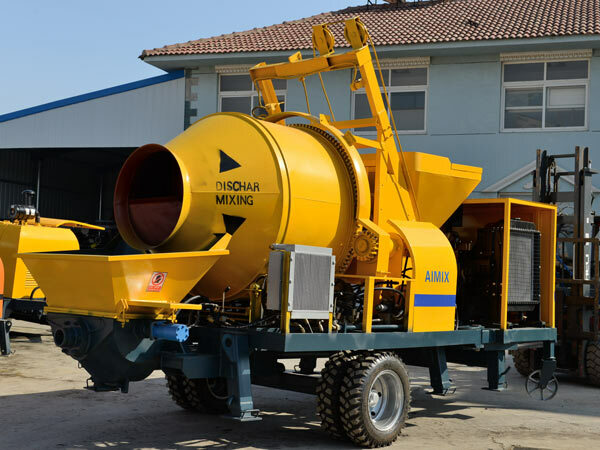 Aimix mini concrete pump with mixer is equipped with automatic centralized lubrication system, which ensures the effective lubrication of mini concrete pump for sale with minimize costs and labors. It has remote control function, which makes the operation much more secure and convenient. Furthermore, the service life of the cylinder and piston are greatly improved with the adoption of long stroke cylinder. Our mobile mini concrete pump has easy installation and wide range of application, which can be put into practice immediately after debugging. Aimix mini pump concrete pumping has high efficiency and short time, which is much better than other mini concrete pump manufacturers.